There can be a lot of excitement when it comes to the realization that you’ve inherited a home, but simply because it’s an inheritance doesn’t mean there aren’t a few strings attached. Whether you’re expecting to be gifted with a home in the future or you’re currently going through this process, here are a few things you may need to watch out for. Once a home has been effectively handed over to you, it’s important to determine the status of the mortgage with the lender and if anything is still owed. While you have the option of taking over the mortgage in a lot of cases, in the event that there’s a reversible mortgage or you’re choosing to rent it out as a second property, you may not be able to transfer the mortgage. While this can often be a rather seamless process, if money is owed there can be other factors to consider. If you already have a first home and don’t want to take care of your second property as a rental unit, it’s important to realize that keeping the home may not be the best decision for you. While you have the option of organizing a short sale if you’d like to get it off of your hands, you can also contact a real estate agent who will be able to provide you with advice on how to proceed if you’re unwilling (or unable) to take control of the property. 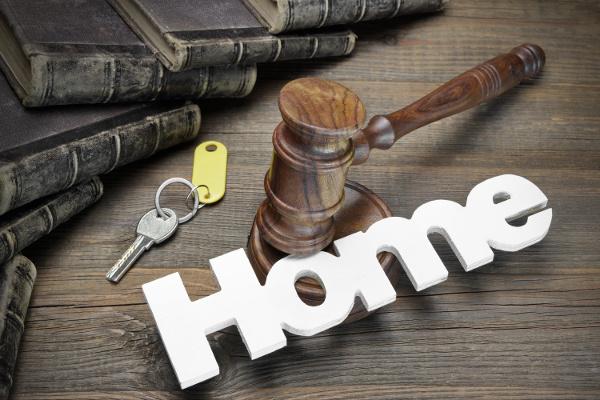 Whether you want to keep the home or not, there can be cases where it’s not even a question if it’s a home that you’re going to end up investing money into without much return. In the situation that a lot of money is owed on the house or there are serious issues with its general condition, you may want to release yourself from the inheritance and move on with your financial situation still intact. There can be an instant feeling of acquired wealth in the event that you’ve inherited a home, but a home in bad condition or that you don’t want to take care of can end up being more of a headache than anything else.